I always have lots of rhubarb in the garden around Christmas and for a few years now we have made rhubarb syrup a couple of weeks before Christmas to make Rhubarb Mojitos on Christmas day. It looks very festive and tastes sensational. 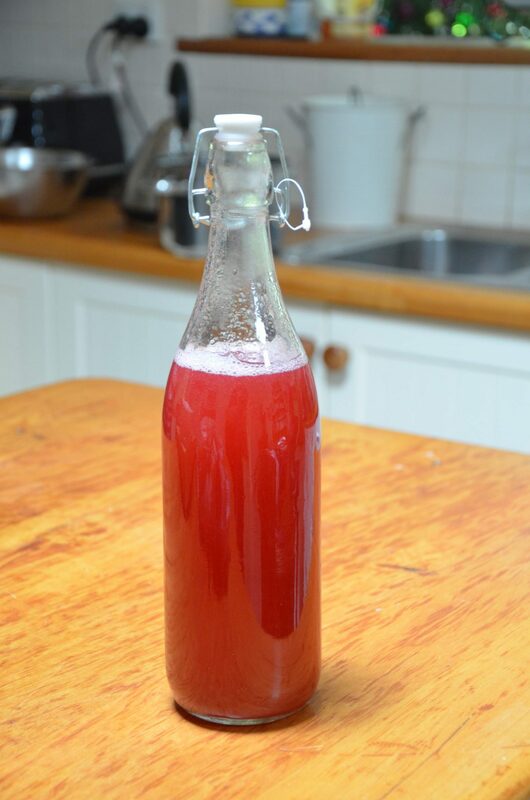 So, if you have rhubarb in the garden why not try and make some syrup. It is not only is good for Rhubard Mojitos but lovely on ice cream or over pancakes. 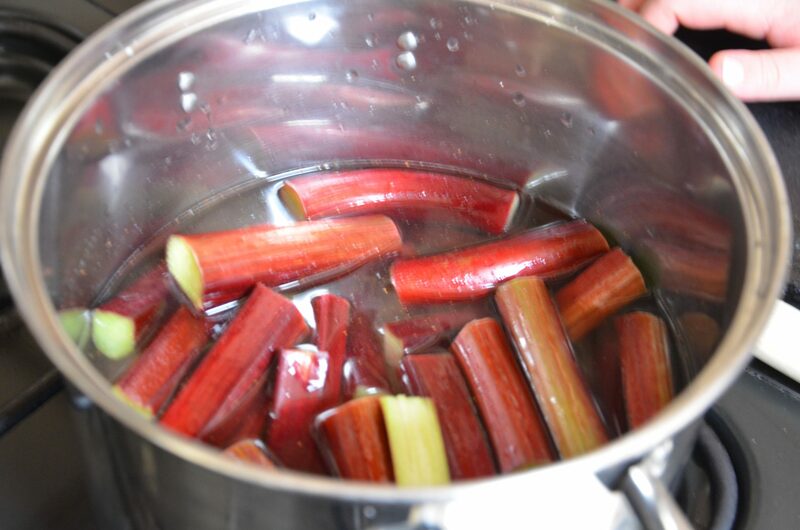 To make the syrup, combine rhubarb, sugar, and water in a large saucepan and bring to the boil over medium heat. 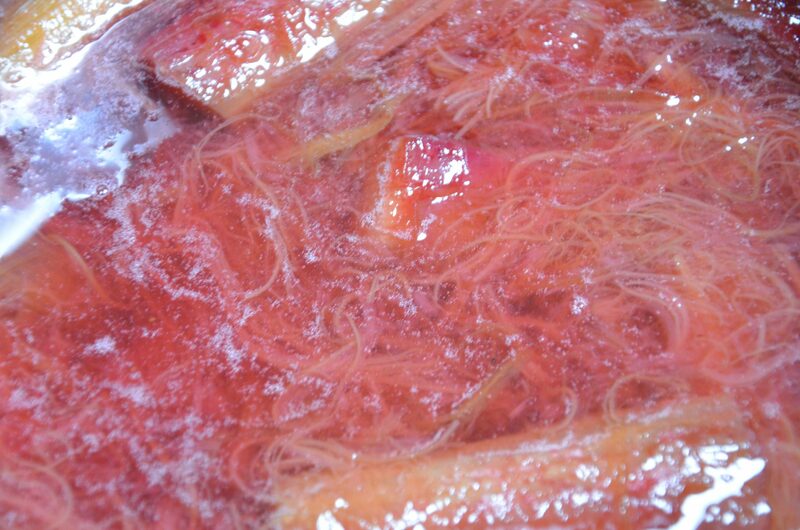 Reduce heat to low and simmer, stirring occasionally, for 20-25 minutes until rhubarb has broken down and mixture has thickened. Strain through a fine-mesh sieve and transfer the strained syrup to a bottle; seal and store in the fridge for up to 5 weeks. 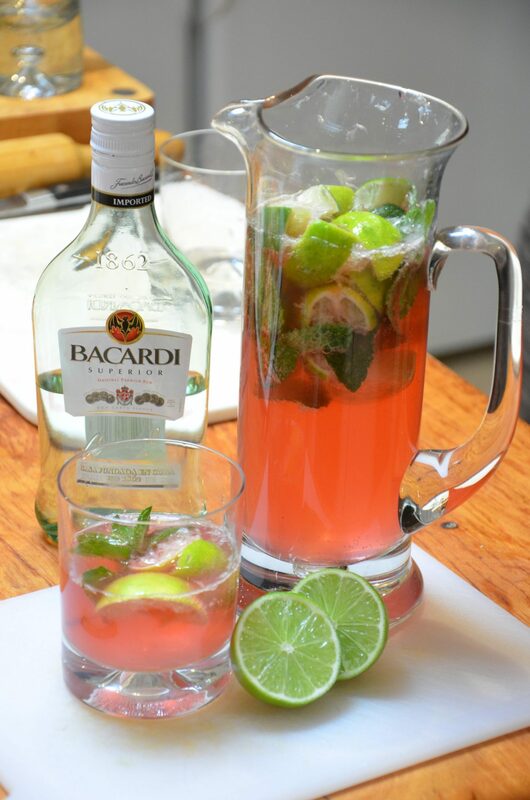 To make the mojitos, place bruised mint leaves and lime juice in a tall glass. 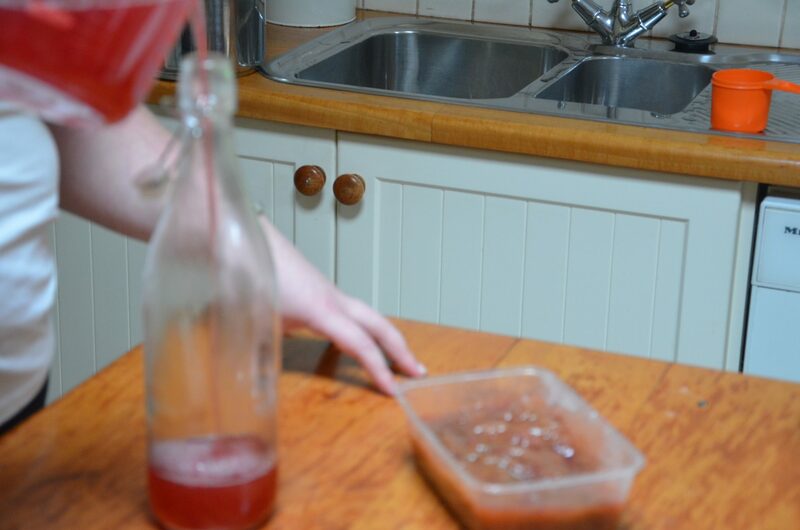 Add ice, then add the rhubarb syrup, rum, and top with soda water or sparkling mineral water. Garnish with fresh mint leaves.